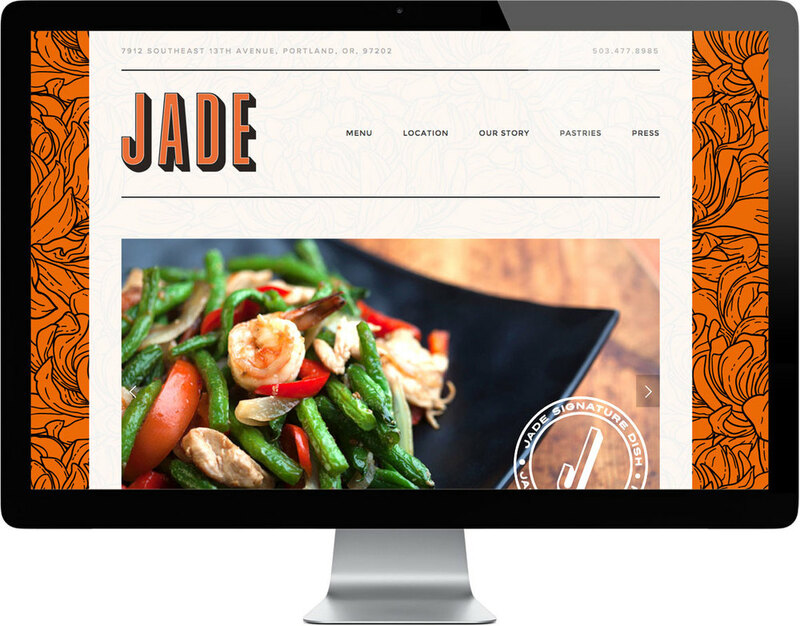 Jade Portland — Relevant Studios | A Branding, Packaging & Website Design Company | Portland Ore. CHALLENGE - Jade, tucked in the heart of Portland's Sellwood neighborhood, was originally intended to be a teahouse and patisserie. 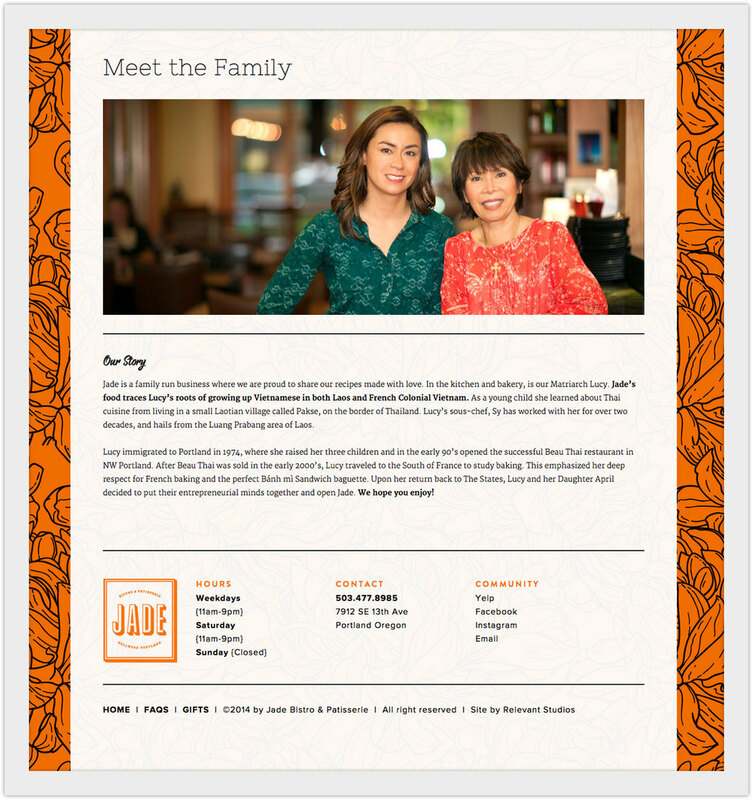 As its food menu evolved it became very popular and the owners needed help communicating that Jade had evolved into more than just a teahouse. ACTION - We helped rebrand the restaurant in a way that was a better fit for the Sellwood mainstay. RESULTS - Jade's popularity continues to grow and we are helping them manage their brand and develop additional merchandising opportunities that will ensure longevity and continued growth.